Find your favourite glasses at Pearle! To all parents with kids: finding the perfect glasses for your son or daughter has just become a lot more fun at Pearle opticians. Together with Pearle, Kega has developed a so-called 'choice assistant’ specifically for kids – a tablet application – that helps staff and parents choose the right pair of glasses. 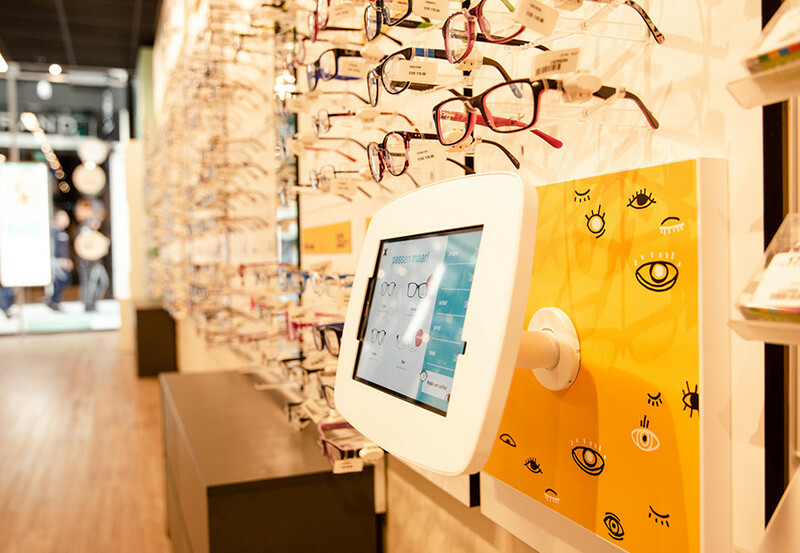 The application is designed to let children have a bit more fun while looking for and trying on their new spectacles. At the same time, it helps parents make the right choice together with their child. Besides the aspect of offering the best possible assistance to customers, staff also has direct access to interesting information they can use during the sales talk. In other words, they give better advice to the customer. Take selfies wearing your favourite eyewear, compare them and choose the glasses that look great on you. Would you like to know more about this project or do you want an application like this yourself? Contact René Spaanderman – rene.spaanderman@kega.nl or call +31 (0)252-750275.